Save 50% on Everything Sitewide! 50% Off all products, just pay shipping. 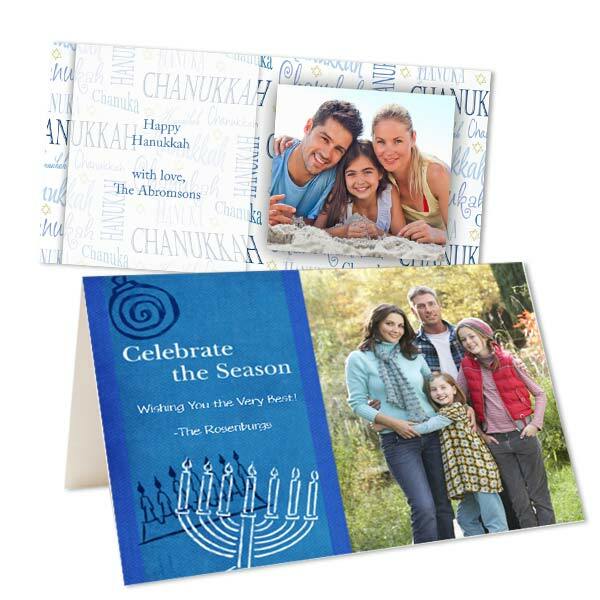 If you’re looking to create an extra special greeting this Hanukkah, look no further than our customized photo cards. Upload last year’s Hanukkah family portrait or create a collage of memories from the past year and choose the perfect Hanukkah card design to accent your photos. We have three card styles including folding photo cards, double sided greeting cards, and glossy photo paper cards, so that you can create just the right Hanukkah greeting!